A Long Eaton jobs fair was held this week to provide employment seekers with the opportunity to speak with company representatives with the hopes of landing work. There were dozens of companies on hand at the event to tell visitors about the many jobs and apprenticeships they had available. 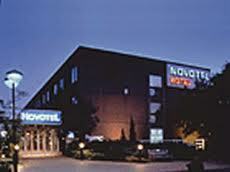 The event was held the The Novotel at Bostocks Lane. The Erewash Local Strategic Partnership group hosted the event which was designed to bring companies and potential employees together. Erewash has events of this type planned throughout the month of September. The group is urging people to look for what is on offer so that they can take advantage of the many opportunities which are available for finding employment. This jobs fair could not have come at a better time nor could be held in a better location. Over the past couple of years, Derby Road East has faced a rising unemployment rate as many people there are without work. This past July, over 6 percent of people in that ward were receiving jobseekers’ allowance. In nearby Nottingham Road, over 5 percent were without jobs while in Derby Road West, over 4 percent were jobless. Nearly 1,000 people showed up for the jobs fair and many did secure employment. Many visitors were offered interviews with companies so the event was a huge success.